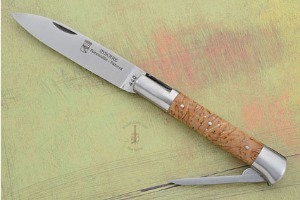 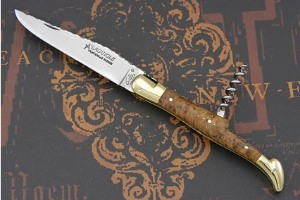 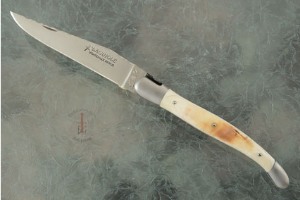 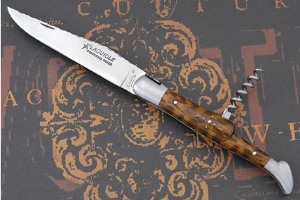 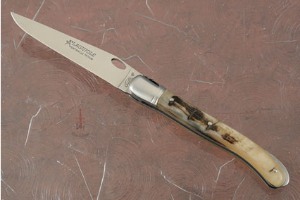 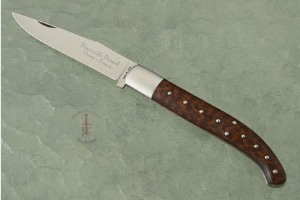 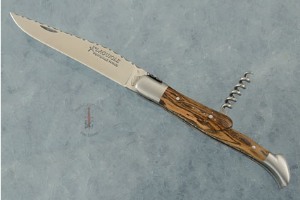 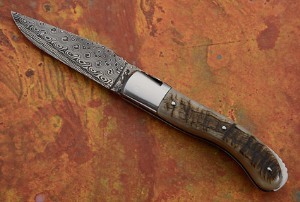 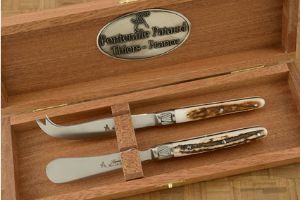 Of the many makers that create Laguiole-style knives, Fontenille Pataud is generally regarded as the best. 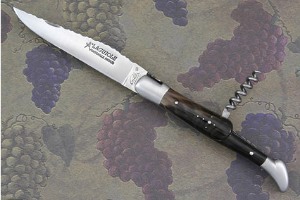 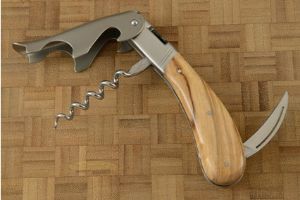 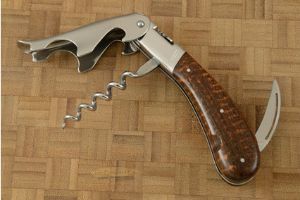 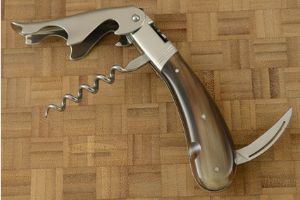 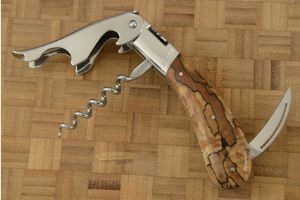 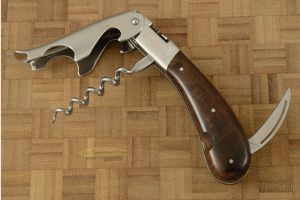 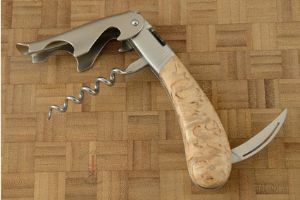 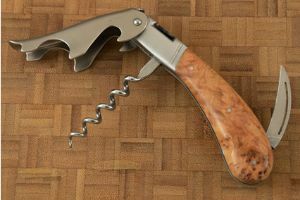 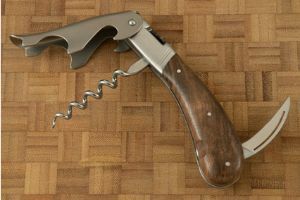 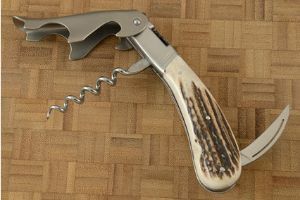 LAGUIOLE is not a brand name, neither is it a trademark nor a label. 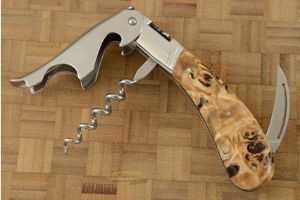 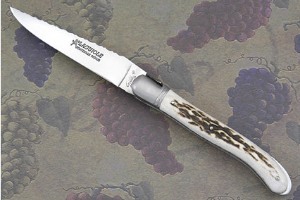 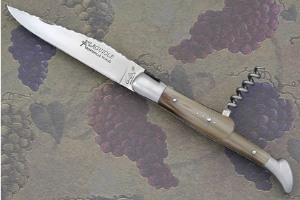 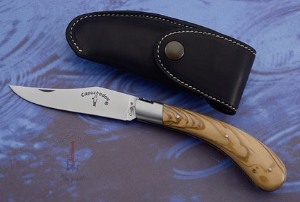 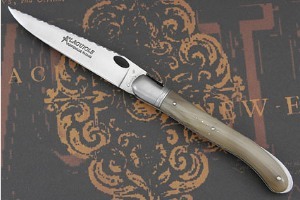 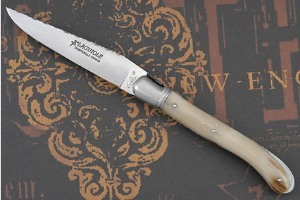 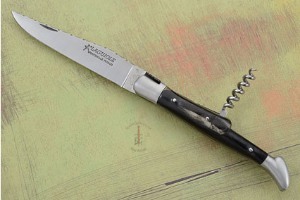 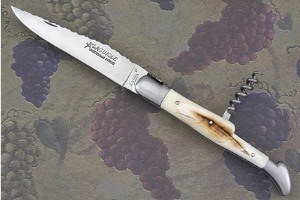 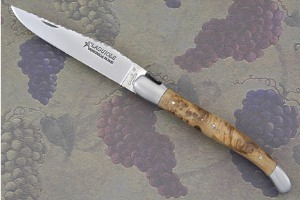 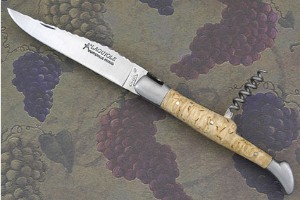 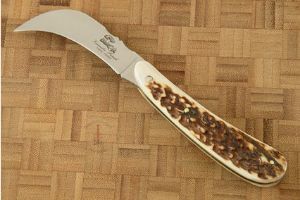 There are NO real or fake Laguiole knives, only good ones and bad ones. 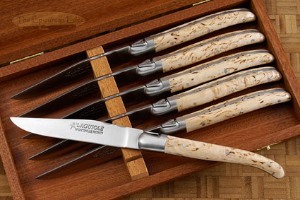 Anyone can manufacture and market Laguiole goods from anywhere in the world. 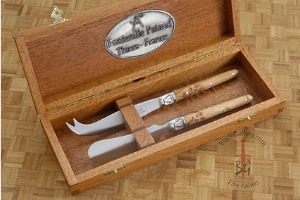 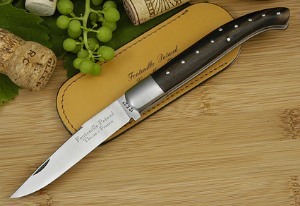 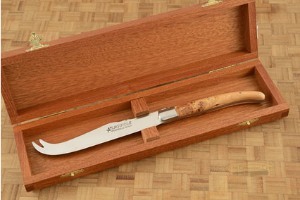 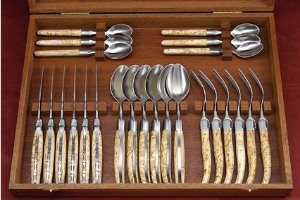 Since their founding in the 1920s, Fontenille Pataud has made knives the old way with a full respect of the art and craftsmanship of handmade cutlery. 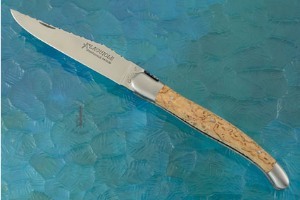 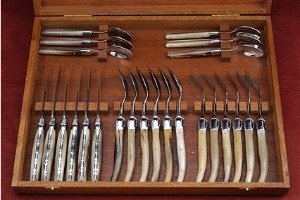 Each knife is handmade to precision specs and is a work of visual and textural art. 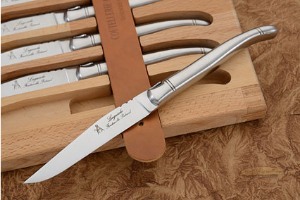 All of their knives are made in their workshop in Thiers , France , the pinnacle of French cutlery (like Sölingen is in Germany or Sheffield in England ), in the beautiful volcanic region of Auvergne . 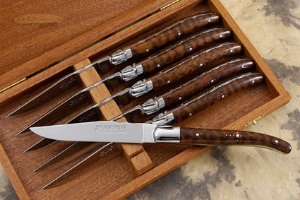 Their team is comprised of eight skilled craftsmen and apprentices overseen by Gilles Steinberg, owner and master craftsman. 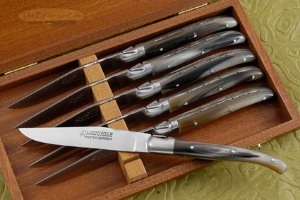 Keeping the company's size small and employing only the best cutlers keeps the quality and exclusiveness of these knives at a premium level. 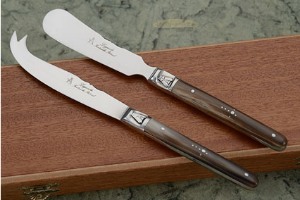 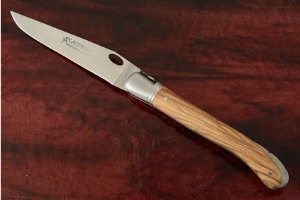 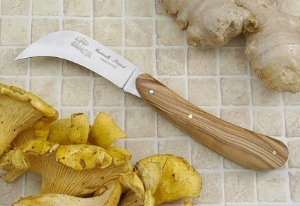 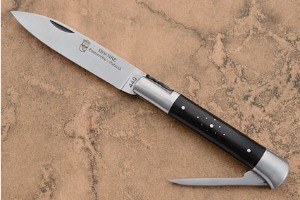 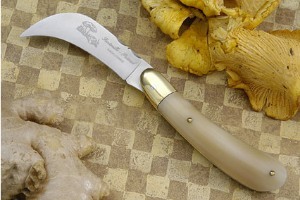 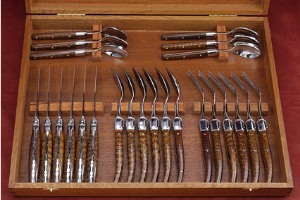 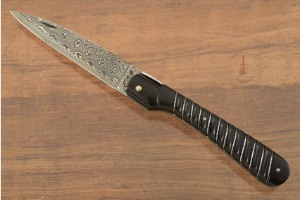 In 1997, they chose to register their best knives under the Gilles® signature. 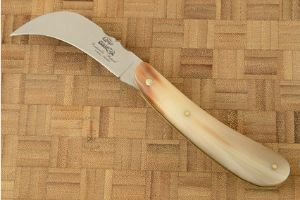 Each year they introduce new models and keep improving their lines. 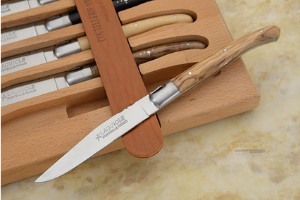 Replacing the blade steel with RWL34 Swedish powder stainless steel and the design in their Laguiole NATURE, SPORT and elegant Guilloché knives are just a few examples. 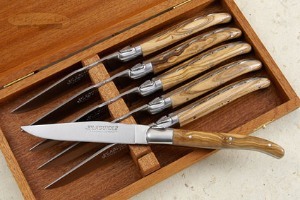 1.109375 0.984375 1109.375 984.375 Products Display completed. 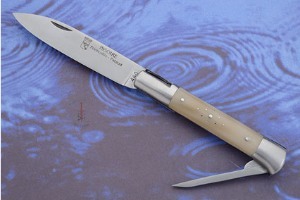 1.125 0.015625 1125 15.625 Trailer Started. 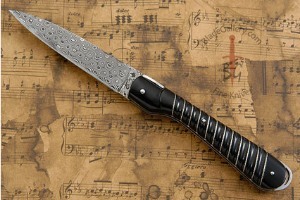 1.234375 0.109375 1234.375 109.375 Trailer Completed.